Top step is 14"D. for additional comfort and safety. Unique 50° stairway slope for easy forward ascent or descent. Sturdy 450 lb. capacity. 7"D intermediate steps. 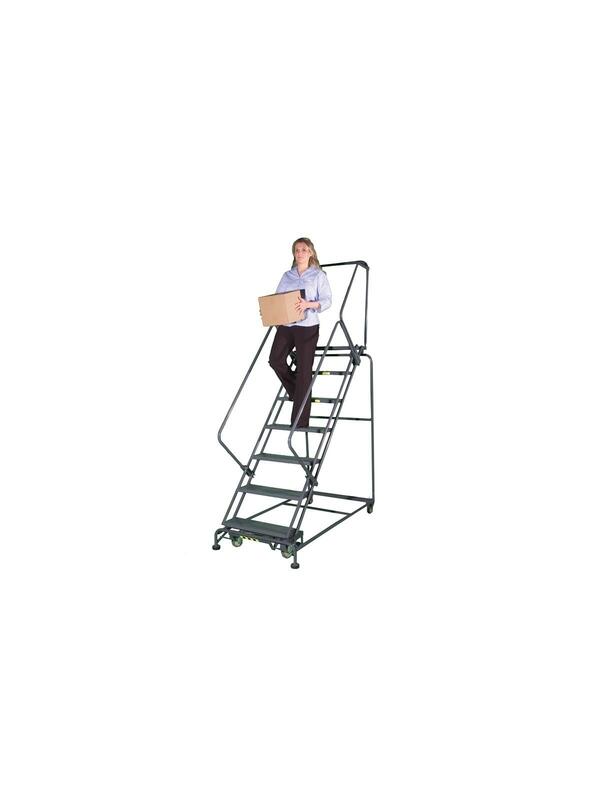 Easy operating lockstep secures ladder to the floor. Tread types available: Serrated Grating (G), Expanded Metal (X), Perforated Step (P), and Abrasive Mat (R). Ladders ship knocked down for freight cost savings, or setup (SU), see Related Items tab for pricing. Gray Powder coat finish. FOB Shipping Point. 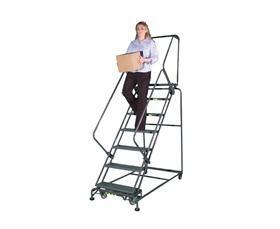 See Related Items tab for Options for 50° Slope Walk Down Ladder.